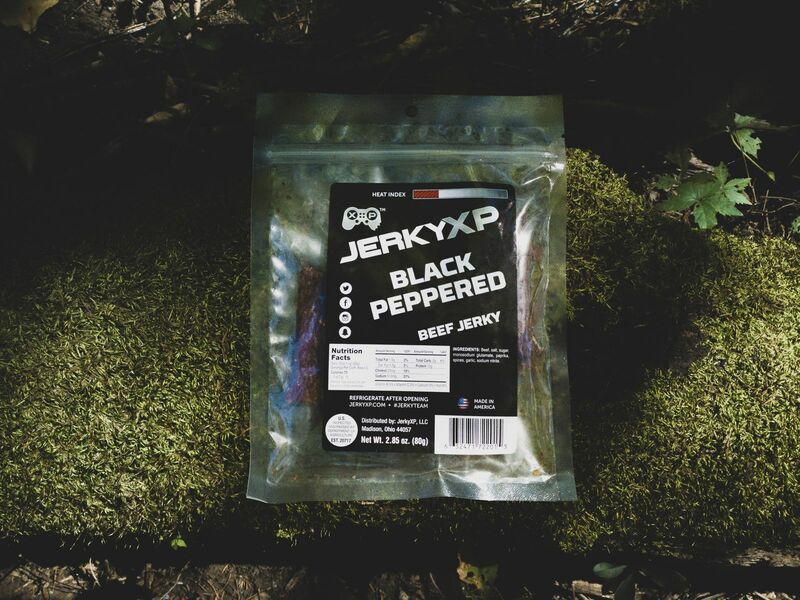 Black Peppered - An original in the beef jerky family. We wanted to give you another flavor with a bit of familiarity but bring it up a notch with our top-notch ingredients. I really love all the flavors of jerky they offer however, for some reason I just did not like this one. Im sure if youre a huge fan of pepper, you would love it. By far my favorite flavor. I'll share all other flavors with friends, but don't touch my Black Peppered jerky. the jerky is really good plus it’s moist and not hard like gas station jerky. usually my jaw hurts from chewing on gas station jerky but for jerkyxp i didn’t have a problem with that! I can’t really complain! The price is great for what you get, the jerky very tender and juicy, and the shipping package is sealed tight so the flavor stays and the jerky fresh! Even after leaving it open for a few days it’s stays very delicious!